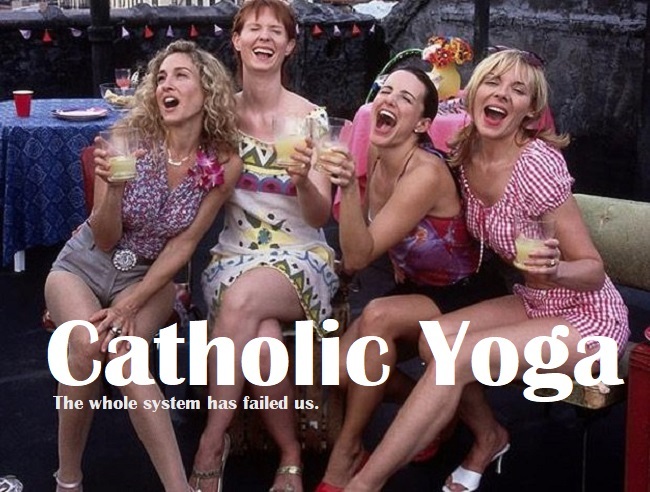 Catholic Yoga - do... or do not? Gina Clarke from Toronto was furious when her 8-year-old daughter came home from school after doing yoga in her Grade 3 class. The Clarke is a Roman Catholic and she doesn’t give permission to her daughter to do yoga because, well, according to her, the yoga is rooted in Hinduism. The long story short, she is now fighting and asking for an apology from Toronto School Board. The details you can read here... Mom battles school board saying yoga against her religion. I like the ending of this article. This started in the school and could easily have ended and been resolved in the school, she said. The whole system has failed us. I propose that we exchange the classical yoga mantra Namaste for the more biblical Amen or Shalom. We can do that, why not? In the last 10 years, Christianity tries to imply that yoga is not a spiritual path; yoga is a purely physical activity. It is inadvisable for lay Christians to devise a spirituality from Vinyasa. Father Cesare Truqui has warned that the Catholic Church has seen a recent spike in worldwide reports of people becoming possessed by demons and that the reason for the sudden uptick in the rise in popularity of pastimes such as watching Harry Potter movies and practicing Vinyasa. It seems to me that Catholic Church and Christianity as a whole cannot find the answer to the question - Is yoga about worshiping God (or Gods), or is it about engaging in advanced stretching and exercise? At its roots, yoga is said to have originated from the ancient worship of Hindu gods, with the various poses representing unique forms of paying tribute to these entities. From this, Catholicism and Christianity have concluded that the practice is out of the question. Then they are asked What about stretching and physical exercise that yoga offers? What about healing and improved well-being such as improved core strength, better circulation, and reduced stress? The intent of the person doing yoga, rather than yoga itself, is what defines the extent of how the practice influences a person’s being and soul. These wildly Christian critiques are problematic on any number of points. It is the elementary mistake assuming that particular bodily movements have power in and of themselves, independent of intention. Not only this is superstitious, but it indicates a lack of familiarity with the Christian understanding of metaphysics. Should you take up yoga? As a spiritual path, yoga is incompatible with Christian spirituality. But if you can separate the spiritual/meditational aspects of yoga from the body postures and breathing techniques common to yoga, then you might be able to use those postures and techniques beneficially for health. If you’re at all unsure of your ability to do so, you may well be advised to find another form of exercise.